Sometimes you need to send files between 2 computers, but either can't or simply don't want to setup complicated network file sharing such as SMB or FTP. 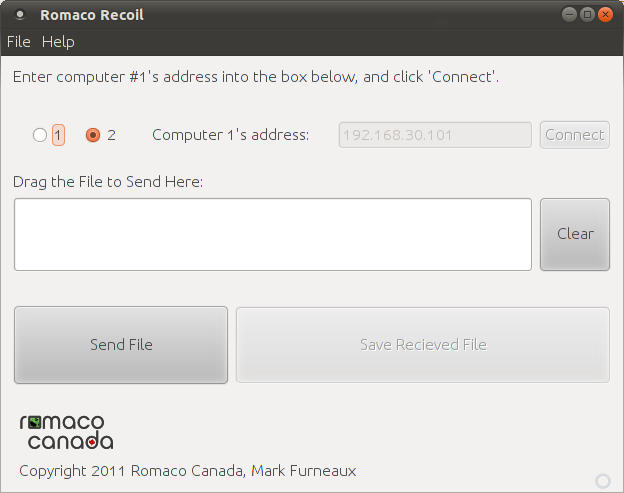 Romaco Recoil is a cross platform Java application that can send and receive files over a network. It requires no real setup, and leaves no trace, since it need not be installed.